It was a year long journey, getting up early in the morning and spending time with my Creator. When I listened, He took me on a wonderful journey through the pages of His Holy Word. 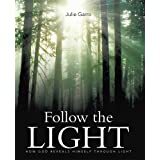 Using light as a metaphor for God and His love, I explored the pages of Scripture to find many ways our God reveals Himself to us, if only we will stop and pay attention. When I did slow down enough to listen to my Lord, I was amazed at the depth of His Love, the enormity and complexity of His creation and the details of His plan of salvation. This Bible Study is my feeble attempt to share those sacred moments with you. This entry was posted in Bible Studies, Christianity, Holy Spirit, Refreshment, Spiritual Journey and tagged Christian. Bookmark the permalink. What a blessed journey you have been on. It is a reminder and encouragement to me to make time for Him daily and to stay in His Word. He has so much to reveal to us if only we would take the time to listen. Thank you for your comment. I’m just learning to blog. I’m sorry for the delay in my reply. I just started blogging myself. It is an exciting adventure and a great way to reach out to people all over the world. Good luck on your blogging journey. I know you will be blessed by doing it and will be a blessing to your readers. I am glad that you read my blog. I am new to blogging and often don’t really think that anyone reads what I write. I am going to follow you (I have never followed anyone else before) I find that it’s a great opportunity to put my feelings and thoughts down on paper so I can read and re-read about my own journey. I love that Jesus Christ is your light! I’m very new to blogging too, in fact, I don’t know all the things this site can do yet. Just keep writing. We’ll take this journey together. It’s a blessed and wonderful experience, digging into His word. 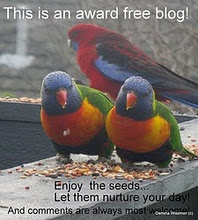 Your Blog looks nice. I look forward to reading more from you. I am still learning how to use wordpress as well.